HWPL is an international organization whose mandate it is to see the cessation of wars. It pursues this goal through a number of avenues, namely the International Peace Youth Group (IPYG), and the International Women’s Peace Group (IWPG). 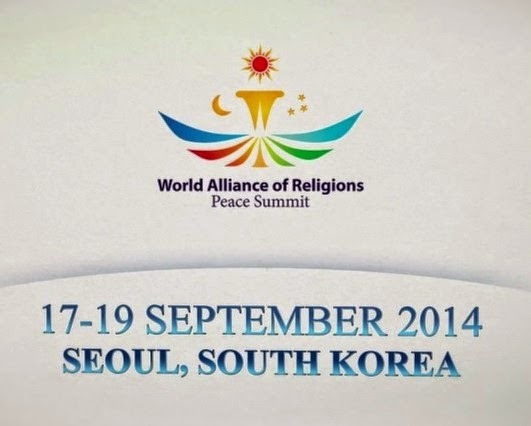 To this end, HWPL hosted the Summit for the World Alliance of Religions in Seoul last week. They had invited the religious heads of different religions and UN representatives Heads of different religious NGOs. These included Ven. Lama Lobzang, Head of International Buddhist Confederation, Delhi; Dr. Alexeev Valery President of the International Foundation of the Union of the Orthodox; Rev. Dr. Robles Archbishop, Episcopal Church in Chile, H.E. Sheikh Hojjat Ramezanzadeh, Imam and Founder of Oxford Islamic Information Centre, Dr. Ibrahim Saleh Al-Naimi, Chairman of the Doha International Centre for Interfaith Dialogue; Grand Ayatollah Sayyhed Ali El-Amine, Grand Ayatollah of Beirut Lebanon; Rev. Issam John Darwish, Archbishop of Greek Orthodox Church; Mr. Oussama Jammal Sec. Gen. of the US Council of Muslim Organization, and many other representatives of all religions, Hindus, Bahai, Sikh, Taoist, including Zoroastrians. By now this organization would have uploaded on their website the video of the two main events — the gala opening ceremony with Korean fireworks, music and dancing; and speeches of Mr. Man Hee Lee and and other VIP guests on 17th September afternoon and the Peace Declaration signing ceremony on 18th morning. 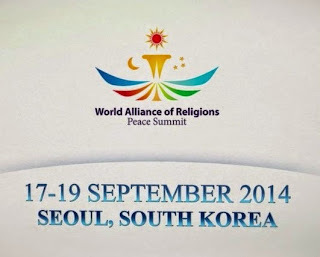 The World Alliance of Religions’ Peace Summit (WARP Summit), held in Seoul, South Korea from 17-18 September 2014, was hosted by Heavenly Culture, World Peace, Restoration of Light (HWPL), and its two subsidiary organisations, the International Women’s Peace Group (IWPG), and the International Peace Youth Group (IPYG). The WARP Summit is first and foremost a meeting held between different leaders of the world, including prominent figures in both secular and spiritual sectors of society, in order to discuss and share insights on how to achieve world peace. 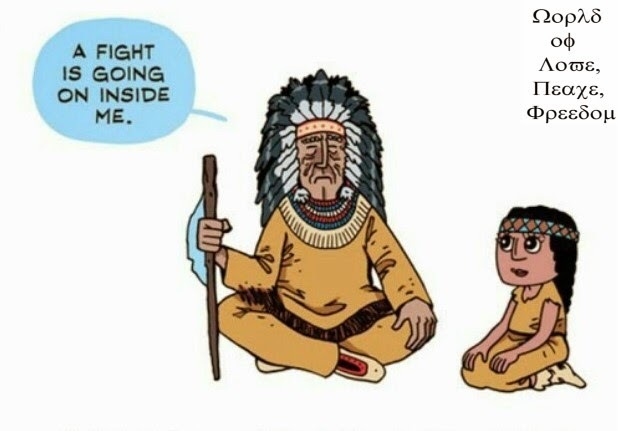 Without discussion, the perceived social boundaries of ethnicity, culture, nationality, religion, and language will continue to pose a threat to the security of our future, as these differences are easily exploited to encourage violent behavior. The 2014 summit was organised in the hopes of creating a platform for dialogue between community leaders on national, cultural, spiritual, and ethnic levels. Such dialogue will pave the way to the creation of a universally applicable value system, reflected and implemented across all perceived social boundaries through an international law designed to eliminate war-activity from our world. In order to achieve this goal, the summit had two focal points. First were the discussion and signing of an agreement for cooperation between leaders of essentially secular communities (countries, cultural, and ethnic groups). Secondly, discussion with religious leaders regarding the ways in which to align the fundamental value systems of each represented religious teaching such that its doctrines might no longer be used to promote violent behavior. This unified system of values, applicable to all religious systems, is what HWPL refers to as the World Alliance of Religions, or the unification of religion. Over the course of the past two years, HWPL has been actively engaging prominent leaders of both secular and religious communities around the world in discussions pertaining to their role in the achievement of world peace. The 2014 summit was the natural result of such meetings and a time in which each person with whom HWPL has met, was invited to share his or her insight into the best course of action to take in order to secure a peaceful and prosperous future for the generations to come.